Here is test of your IQ. 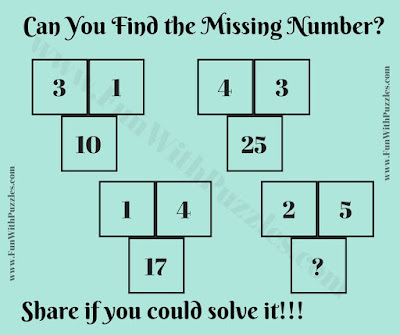 Lets see how much time you will take to solve this tricky IQ Question. In this tricky IQ question, there are some groups of three numbers which are related to each other. Can you find this relationship among these three numbers and then solve for the missing number? 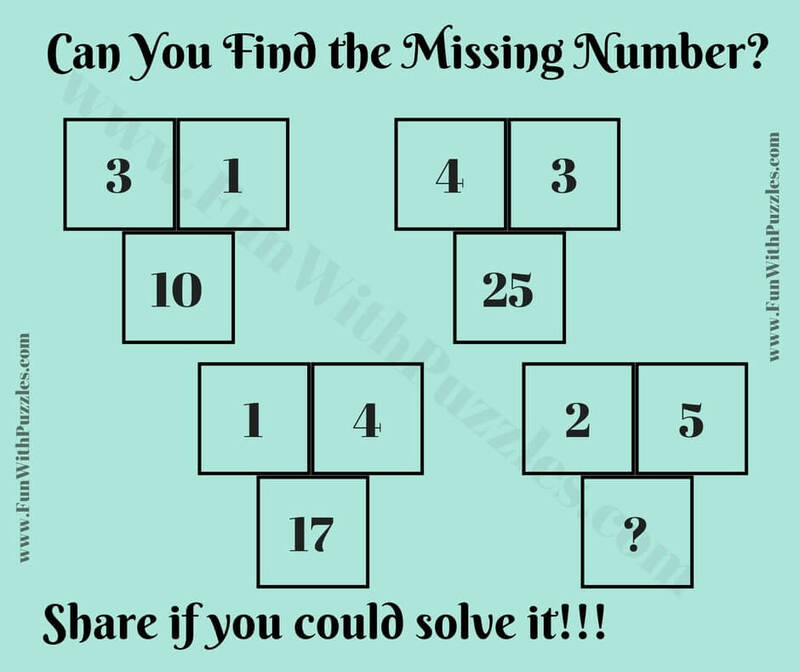 Answer to this tricky IQ Question can be viewed by clicking on button. Please do give your best try before looking at the answer. The Answer is 29. Number at down part is sum of squares of two upper numbers. You are right. Answer should be 29. We have updated the correct answer now. Thanks for finding this error. Do let us know in case anywhere on this website you found similar error?